Goldie Phill Manolides died on January 16, 2018 in Seattle, WA following a brief illness. She was 94. Goldie was born on March 29, 1923 in Tacoma, WA to her parents, Steve and Mary Phill. She graduated from the Stadium High School in 1941 and then entered Tacoma General School of Nursing (formerly known as Fannie Paddock Memorial Hospital School of Nursing) and graduated in 1944. 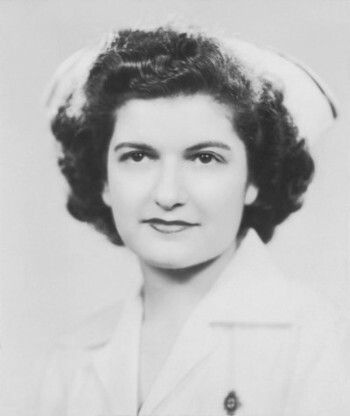 Upon graduation Goldie did post graduate training in Surgical Nursing at N.Y.U Cornell Medical Center, completing the program in 1946. 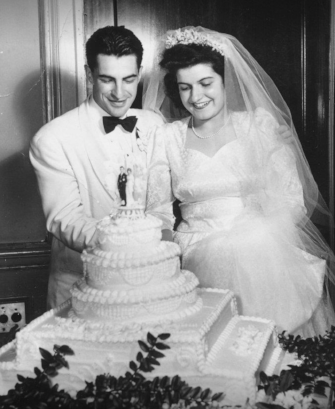 She married George Andrew Manolides of Seattle on July 13, 1947 at St. Nicholas Greek Orthodox Church in Tacoma. They made their first home in the Hawthorne Hills area in Seattle but as the family grew, they moved to West Seattle. After her children were all in school, Goldie started working part time as surgical recovery nurse at Swedish Hospital. She continued as a volunteer at Swedish once her children had left the nest. Goldie was a true force and extremely proud of her independent nature. She enjoyed traveling with her husband and upon his death in 1999, continued to carry on the traveling tradition. Her favorite trip was a 65-day cruise to Antarctica in 2007. She considered it her trip of a lifetime. Goldie is survived by her daughter and son-in-law, Andrea Manolides Hayford and Eric Hayford of Seattle; her sons Steven Manolides of Kent and Thomas Manolides of Seattle; her grandchildren Andrew (Anastasia) Manolides, Matthew (Ponti) Manolides, Anna Hansen, Molly Hansen and Karen Manolides; and her four great grandchildren. She is preceded in death by her husband, George and her sisters Ann Brown and Helen Hurlbert. Mom has requested a private graveside service at Lakeview Cemetery in Seattle, WA where she will join her husband. 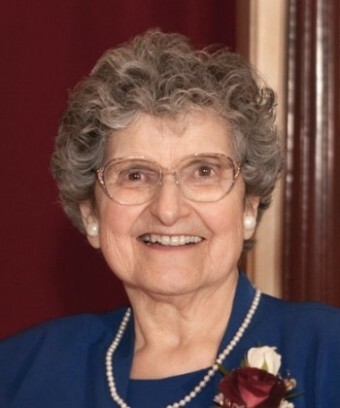 She was extremely proud of her career as a Registered Nurse and has requested that in lieu of flowers, donations be made to the Tacoma General Hospital School of Nursing Education Endowment Fund. (Checks can be made out to Multicare Health Foundation and mailed to P.O. Box 5296, Tacoma, WA 98415) or to the charity of your choice. I will always remember Goldie coming to our home and giving me a shot when I was about 6 years old. 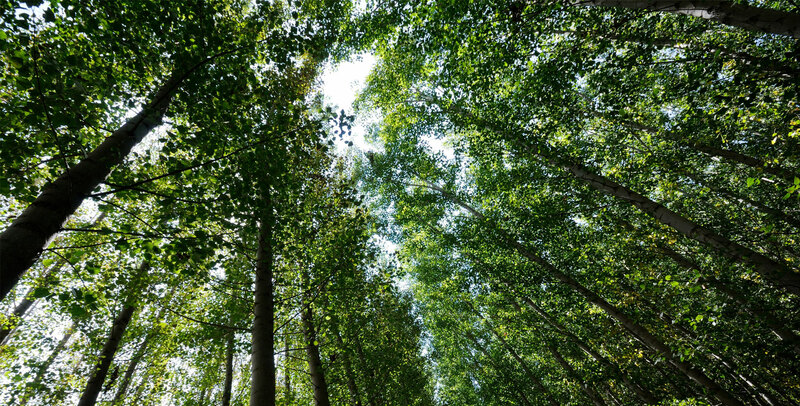 My sister Carol remembers her playing the piano and singing the "Good Ship Lollipop." Goldie was a big part of our lives when we all lived in Arbor Heights. It was so wonderful to get to see her a few years ago. She was the surviving matriarch of my youth. We send our love to all of you and please know we loved her also. Goldie was a real sweetie ... maybe even sweeter than the tasty baklava that she made. We're better folks for knowing this wonderful lady. Hi all, may I say on behave of the entire Brix family what a wonderful privilege it was to have been friends with Goldie and the entire Manolides family! I especially appreciated her warm, charm and kindness. My mother and her were best of friends and often enjoyed each others company. We'll miss you Goldie but we'll always remember you kindly. To the remaining family, keep her memory alive, follow her lead and make her proud as you always have.